Macomb County’s Blue Economy initiative, coordinated by the Department of Planning & Economic Development, is designed to increase awareness of the natural and recreational assets offered by Lake St. Clair and the Clinton River watershed as well as to protect and enhance these important resources. Its objectives are to increase public access, cultivate business and practice high standards for environmental stewardship. For the full initiative click here. Macomb County Communications and Technology Center (COMTEC) is a 25,000-square-foot, state-of-the-art facility that provides 24/7 situational awareness for first responders, residents and businesses. It houses centralized dispatch for Macomb County Sheriff's Office, Traffic Operations Center of the Road Department, data center for Information Technology, and the department of Emergency Management. By consolidating these operations together, Macomb County is able to maximize resources and improve services. Whether it pertains to a traffic accident, fire or EMS call for service, road closure or an escalating emergency event such as severe weather, COMTEC is ready to assist. Macomb Community Action recently opened centers in Mount Clemens and Warren where families can access helpful services under one roof. Situated in idled elementary schools, limited-income residents are able to access information and referrals for helpful services including emergency assistance for rent or mortgage or to prevent a utility shut-off, commodity foods and consumer choice food pantry, Head Start programs, English as a Second Language tutoring, transportation assistance, tax preparation and more. The centers also provide office and activity space for other collaborating agencies including the Macomb County Health Department, MSU Extension, and a variety of community-based nonprofit organizations. Green Macomb, coordinated by the Department of Planning & Economic Development, engages local municipalities, businesses, nonprofit organizations and individuals in preserving and developing Macomb County’s green infrastructure. Designed to improve water quality and reduce flooding, green infrastructure also helps to enhance public health through increased recreational opportunities and cleaner air. These activities can also help to increase property values and overall quality of life. Its current objectives are to encourage communities, businesses and residents to plant new trees as well as to better connect Macomb County’s many parks and open spaces through a network of hike and bike trails. The Department of Planning & Economic Development serves as Macomb County’s leading economic development agency.  Its mission is to retain, grow and attract business investment while improving the overall quality of life for residents and businesses in Macomb County. The department specializes in providing assistance to businesses at all stages of development with a concentration on the high-growth industries of advanced manufacturing, automotive, defense, agriculture & food processing, healthcare & social assistance, IT & cybersecurity, professional services, retail, and transportation logistics & warehousing. Its services are free, confidential and highly effective. MMYH is a comprehensive marketing initiative designed to raise the profile of Macomb County. The goal of the campaign is to reinforce community pride and encourage current residents and business owners to be ambassadors for their county as well as to make visitors aware of the opportunities and experiences that await them in Macomb County. OneMacomb’s mission is to facilitate or support collaborative community-based activities that celebrate cultural diversity and inclusion in Macomb County. OneMacomb’s objectives are to promote multiculturalism; strengthen the local economy by attracting international businesses; and to identify and implement best practices for inclusivity.